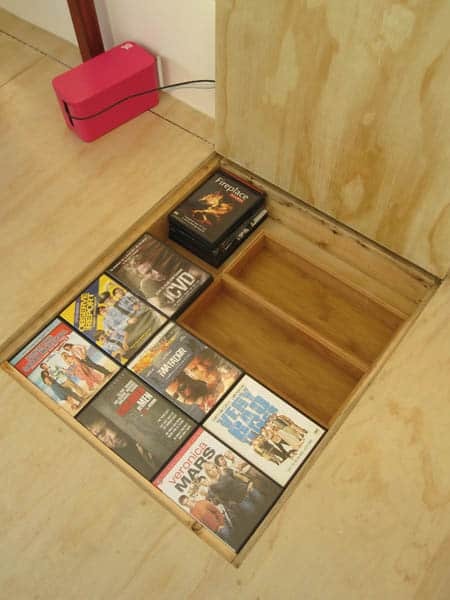 Hidden storage compartments, a slide-out bed, and even a special solution for the kitty litter box. 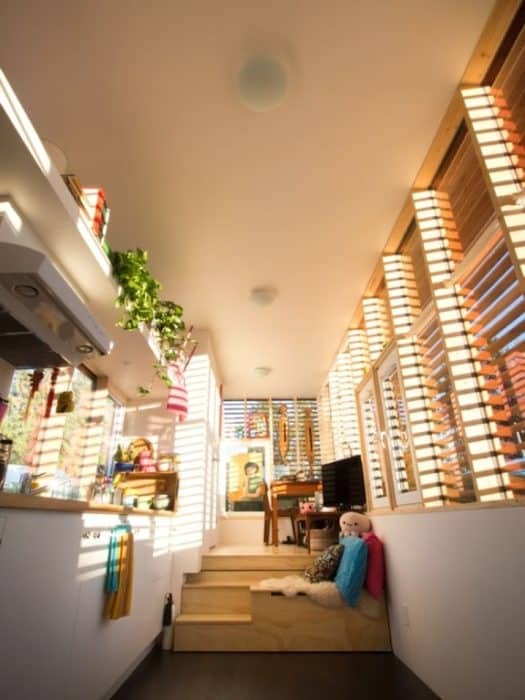 There’s a lot to like in this tiny space. 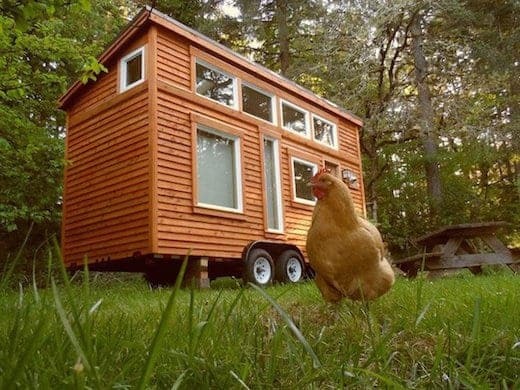 Welcome to the “Thousand Crow” tiny house. 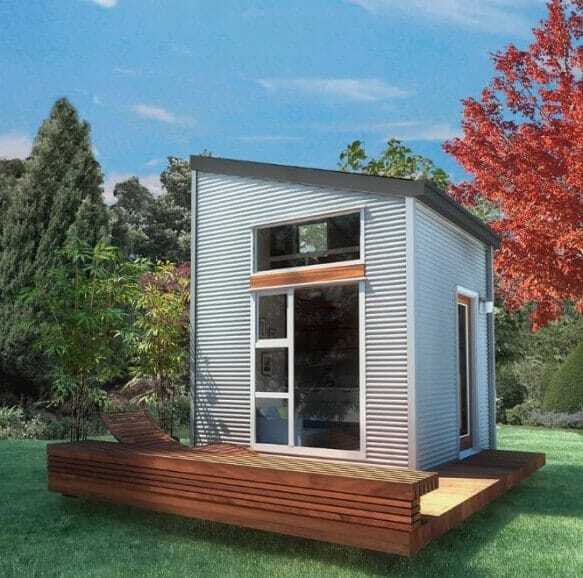 (update 1/19/2015) We updated this article with a few corrections regarding the square footage and cost. 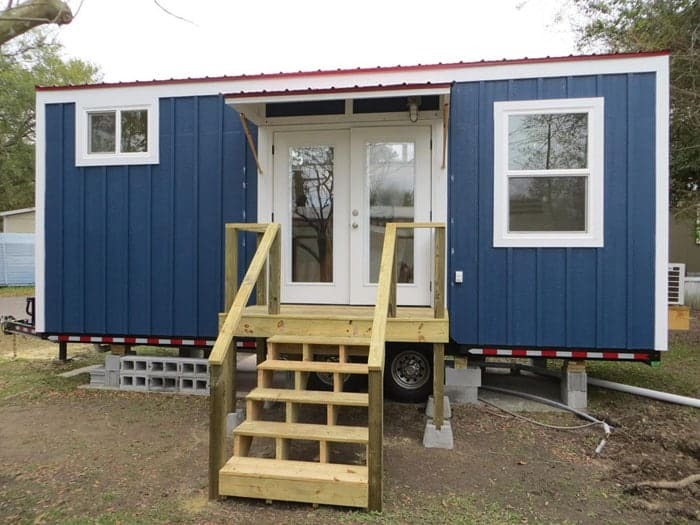 Here’s a brand-spankin’ new tiny house owned by Izzy Mori that was just completed in early November. 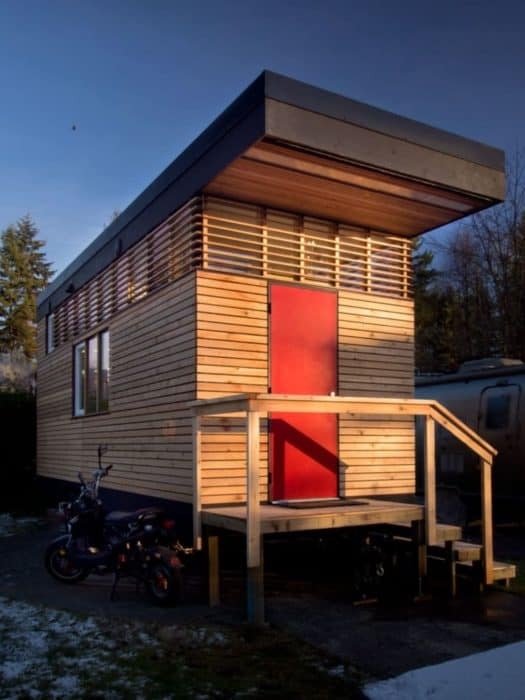 Located in Vancouver and built by Camera Buildings, a company specializing in small buildings and prefab construction, it shows off some really great design elements that I think you’ll enjoy. 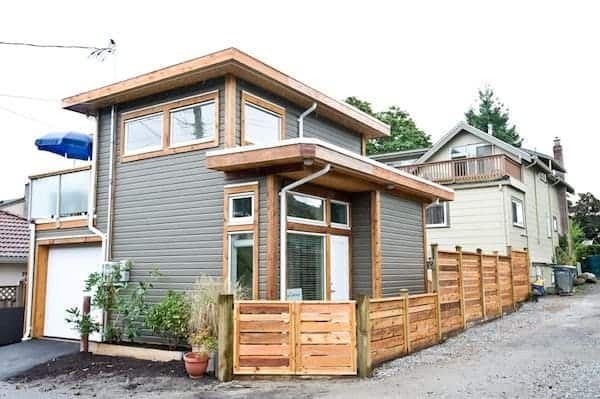 As more tiny house builders emerge we get to see more creative solutions to small space storage and other problems that wouldn’t otherwise exist in a larger home. 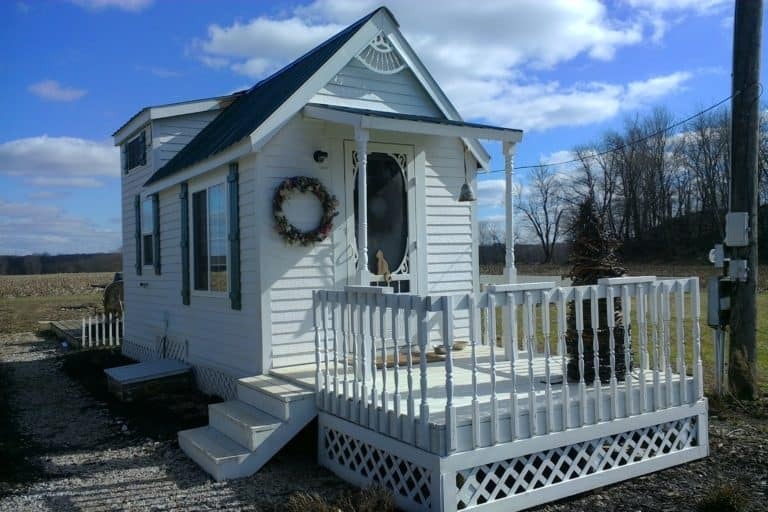 For example, what do you do with a litter box for the cat in a tiny house? 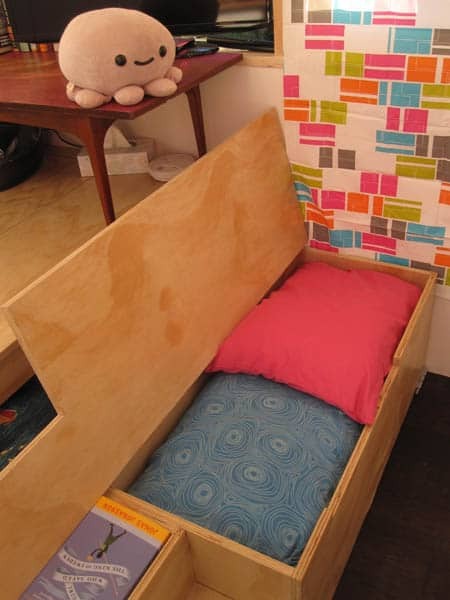 What about a guest bed in case you want to host a friend for the night? This brilliant little space tackles those issues in style. With it’s diminutive footprint of 22″ x 8′, it clocks in around 186-square-feet and is based off the smaller “Filter Studio” design (shown below). 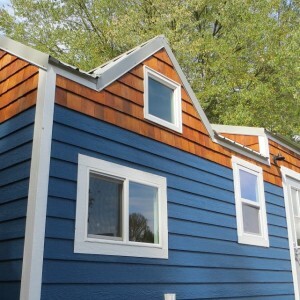 The distinctive outward appearance comes from locally-sourced, handmade cedar rainscreen used for the siding, which will turn into a weathered gray over time. 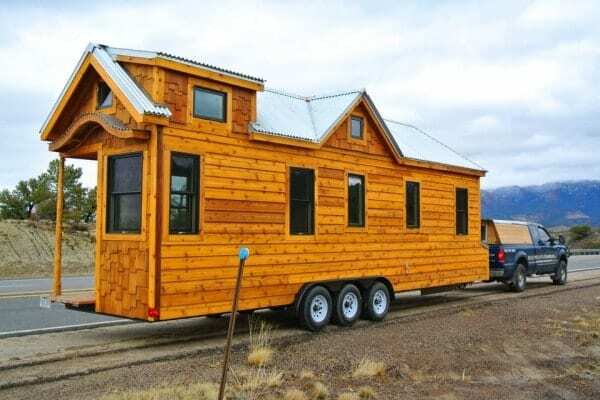 It’s on wheels so it can be easily transported as well. In the photo below you can see the bare interior shelving, and get a good idea of what it looks like without any furniture or decorations. As you will soon see, the owner of this house does a great job filling this space with their quirky personality. 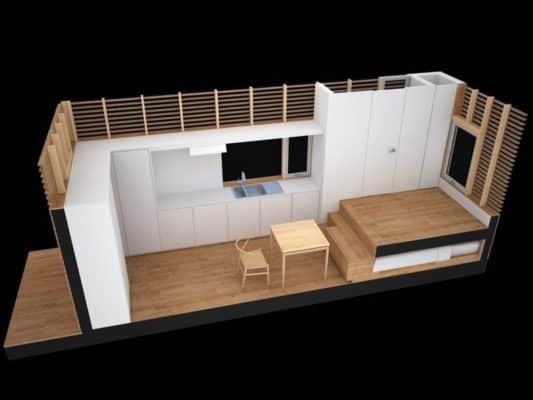 The above photo of the floorplan provides a great overview of the small space, and you can see the bed tucked away under the mezzanine area. Let’s take a tour, shall we? Dust your feet off on the “welcome whale” and step inside. A simple galley style kitchen area is all that’s needed. There’s no range, but a countertop oven works just fine for her cooking needs, and doesn’t stop Izzy from whipping up a mean baked eggplant. A double sink offers room to clean things up. While it may not have a fully-outfitted kitchen, Izzy remains more than happy with the space and can whip up a mean baked eggplant. A small refrigerator fits nicely in the cupboard area and at the end of the kitchen space you’ll find a closet that’s used to store the broom, cleaning supplies and the kitty litter box. 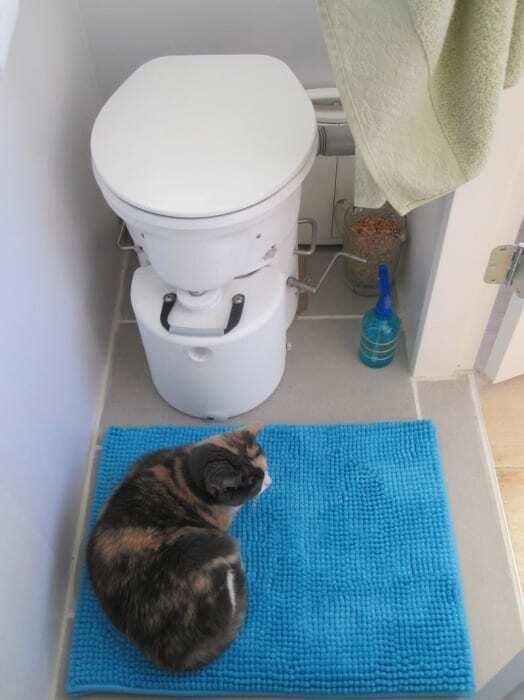 One issue we’ve seen before and heard about from tiny house owners centers around the litter box. 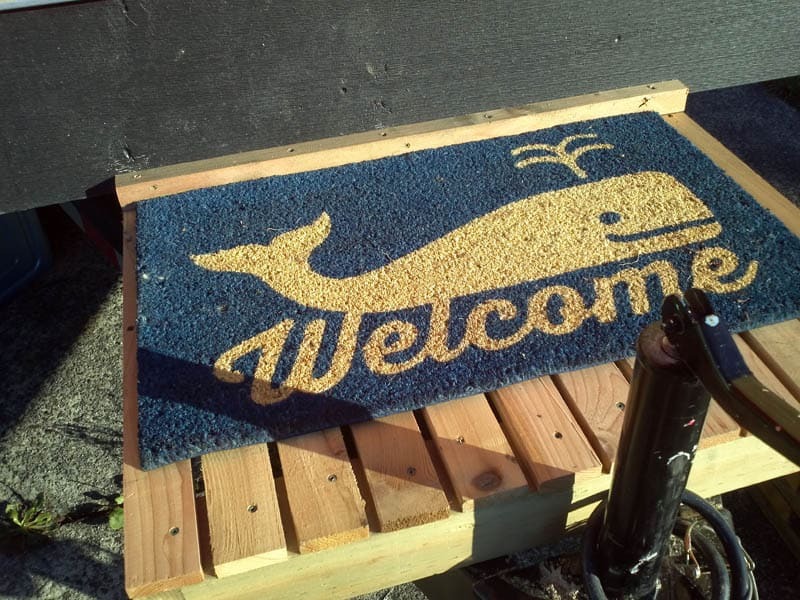 Nobody wants that smell pervading through every inch of the small space, but here we have a great solution. 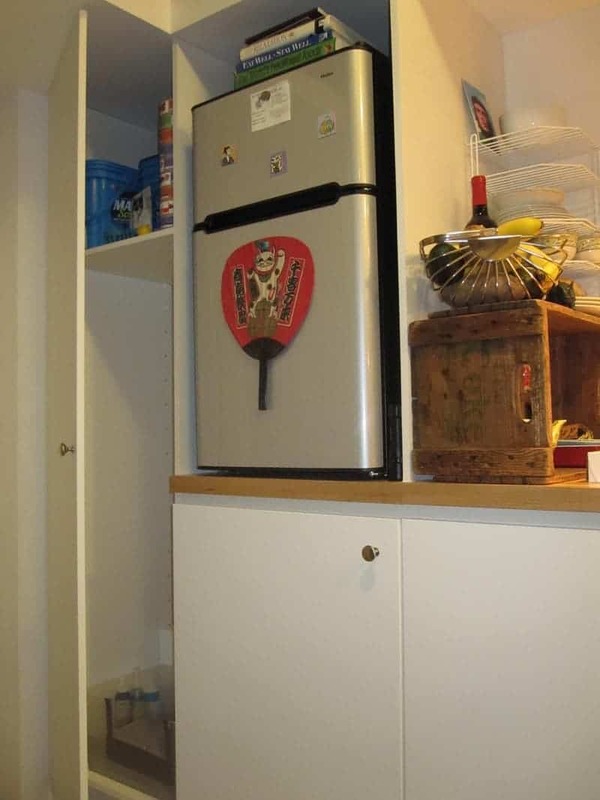 The owner uses a small computer fan connected to a vent that exits under the house. 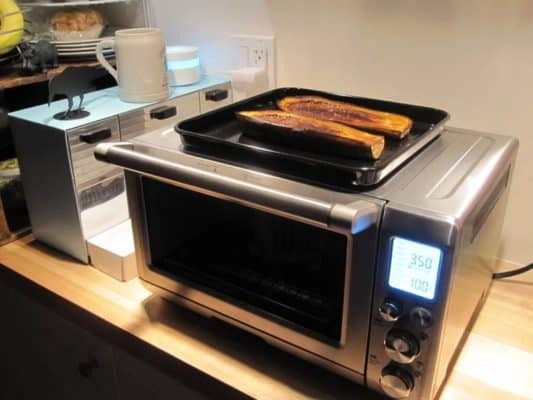 It runs 24/7, allowing any smells to filter outside, all while using very little power. 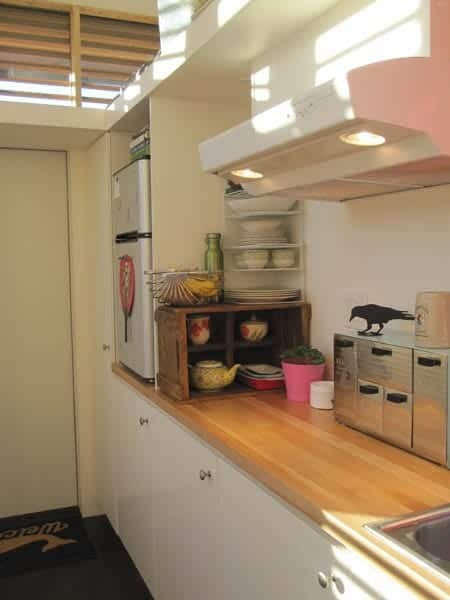 Storage space is important in a tiny house, and we’ve seen great ideas in previous builds. This house succeeds in that area, with secret compartments in the raised floor that reveal books/dvds, a printer, keyboard, and more books. 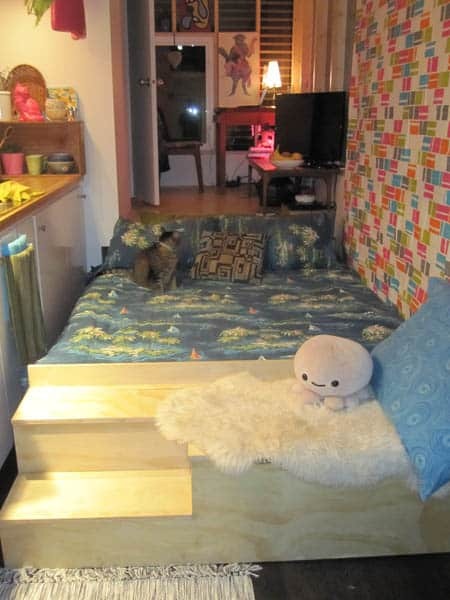 A built in bench seat offers a bit of extra space to chill out, complete with a stuffed octopus dude that seems quite content. 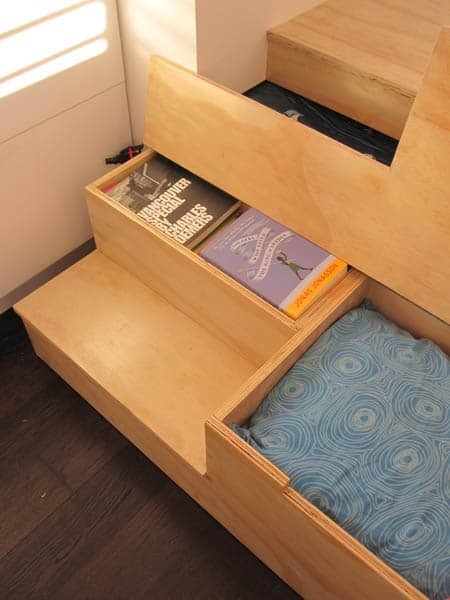 Under the bench seat you’ll find more storage space for the pillows and blankets (and more books). 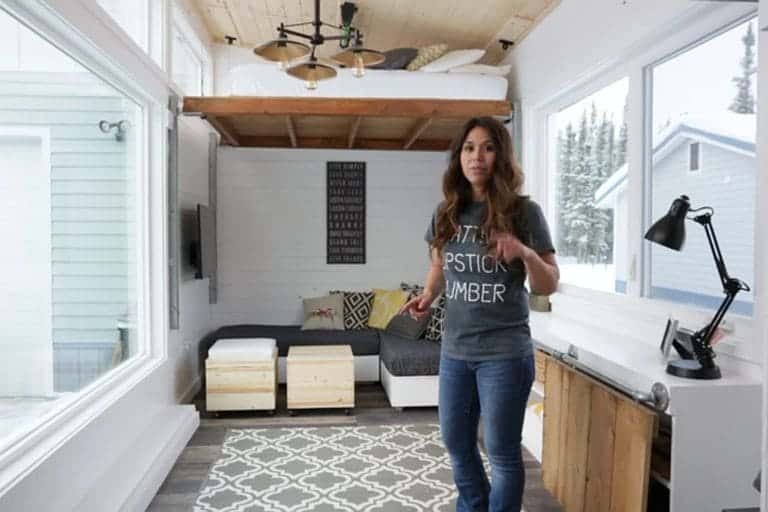 Here’s where it gets cool – pull the bench seat out further and the bed appears! We love these sort of slide-out beds because not only is just just plain cool, but it means you don’t need a loft. Plus you can pull it halfway out to use as a larger, more comfortable couch. The bathroom offers a simple layout, with a standing shower and composting toilet. 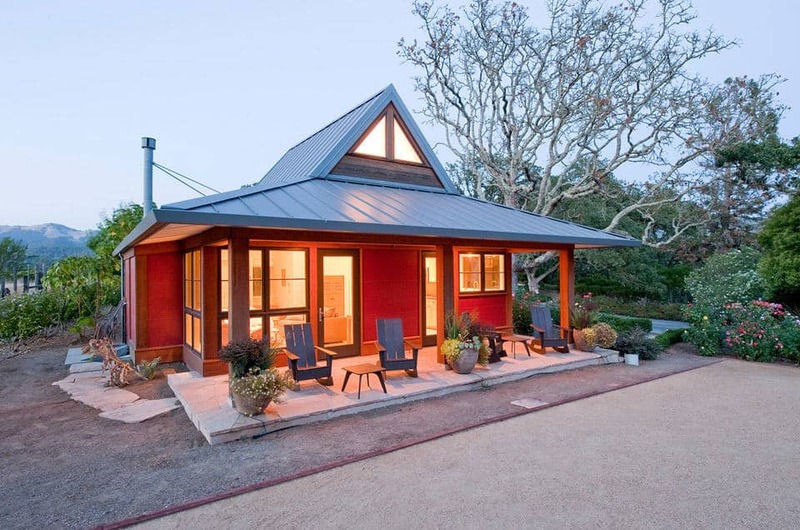 We love the way light spills in through the cedar siding. 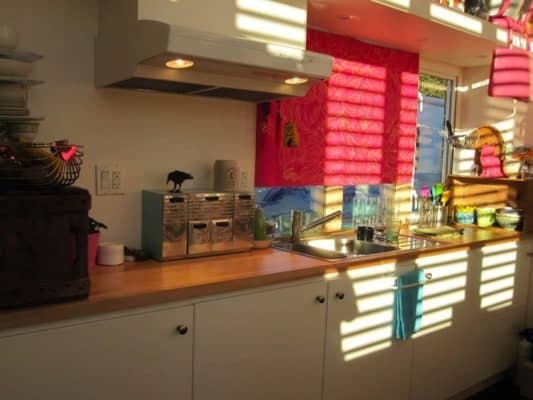 Two small workspaces below offer space to get things done, or enjoy a meal. This base model Filter Studio costs around $25,000 and is pre-assembled offsite, but Izzy spent closer to $39,000 for the customized version seen here. 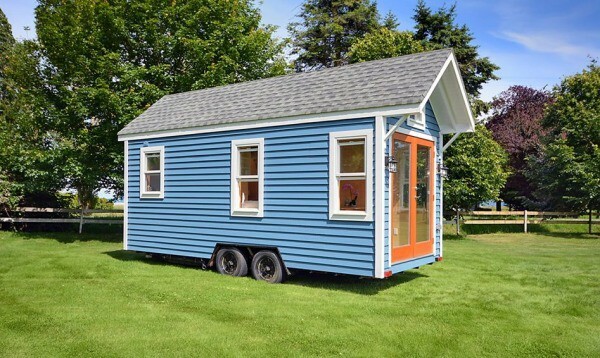 She currently has it parked in an RV park, but with its rolling chassis she always has the ability to move it anywhere she pleases. 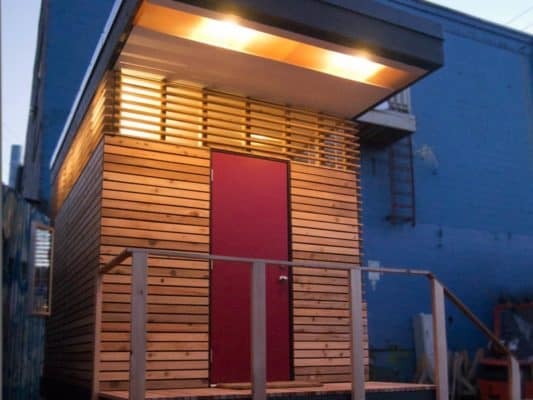 To learn more about this build, check out the blog at http://www.tinyhousevancouver.com/. 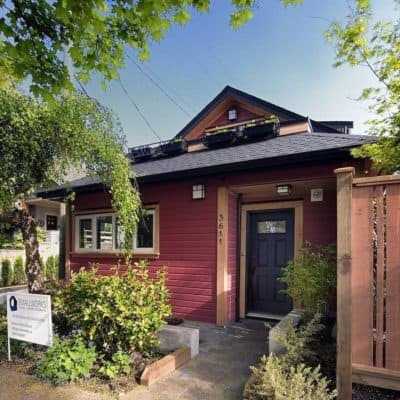 If you happen to live in the Vancouver area, be sure to check out the local Meetup group http://www.meetup.com/Vancouver-Tiny-House-Meetup/ as well.